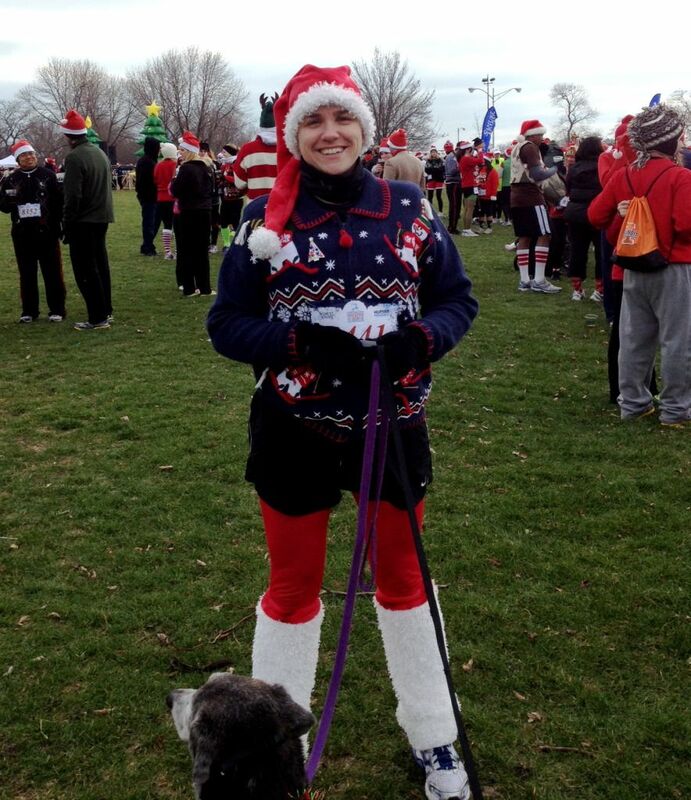 Here's part two of my accessory package that I wore to the Ugly Sweater Run in Chicago this month. 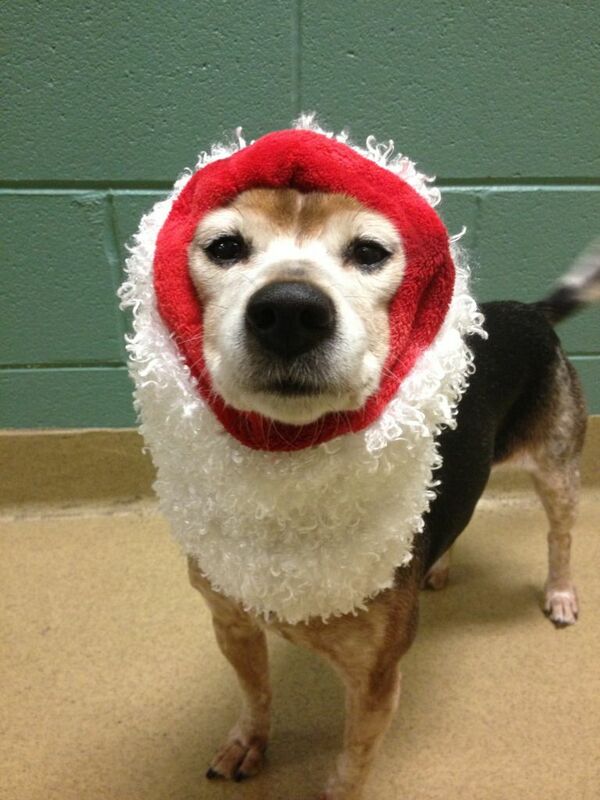 Check out the tute for my stocking hat. 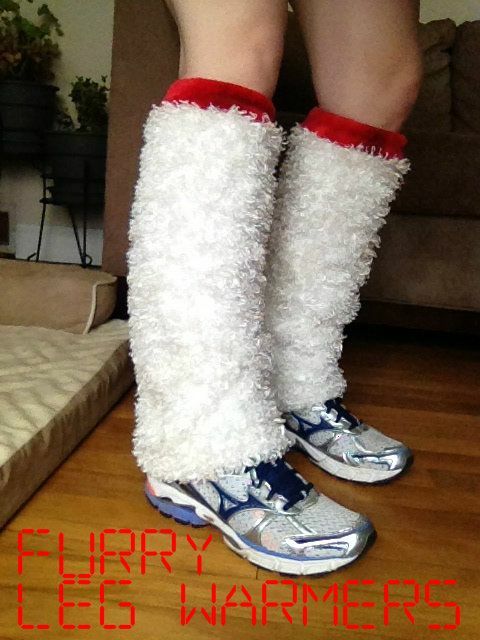 Who wouldn't want to look like a yeti when you're running in the winter? 1. First measure your leg from the middle of your knee to the floor, this will be referred to as A. Now measure the circumference of the thickest part of your calf, we will call this B. 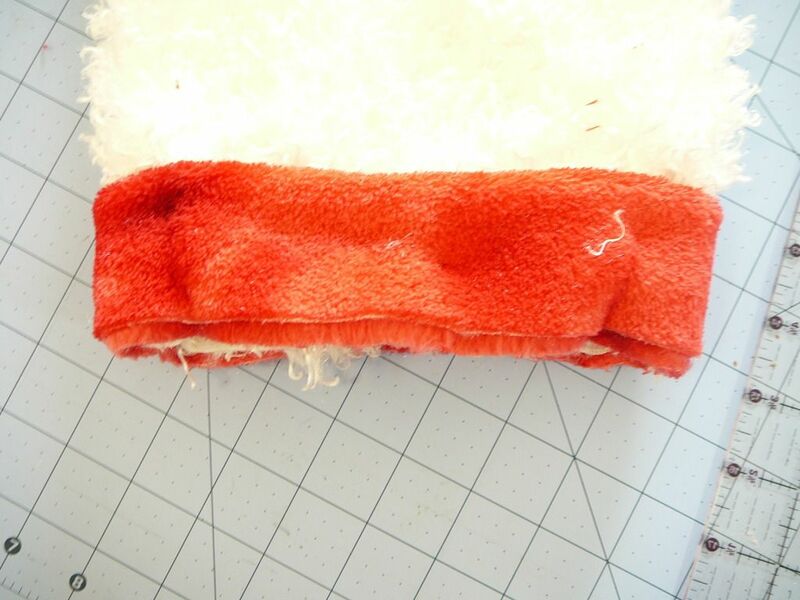 Cut out two rectangles A wide by B long, lining B parallel to the stretchy grain, of your micro fleece. 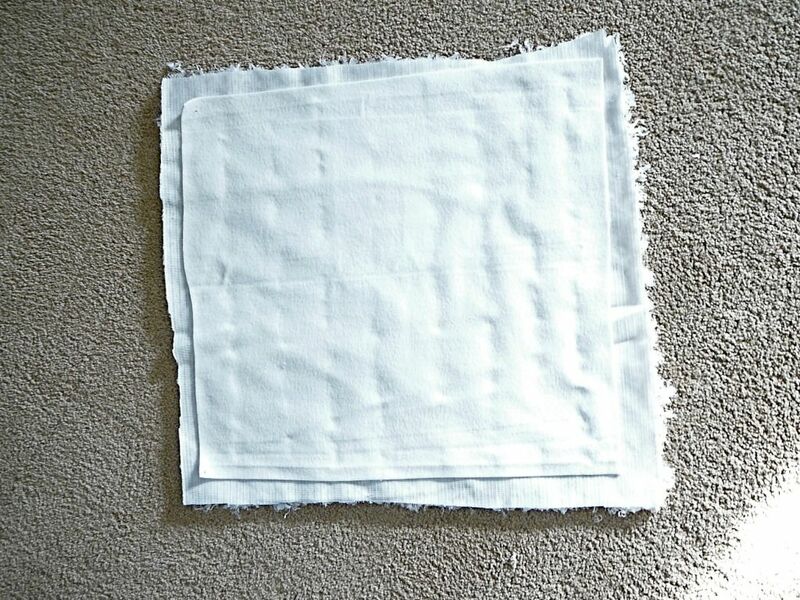 This will be the lining for your leg warmer. 2. 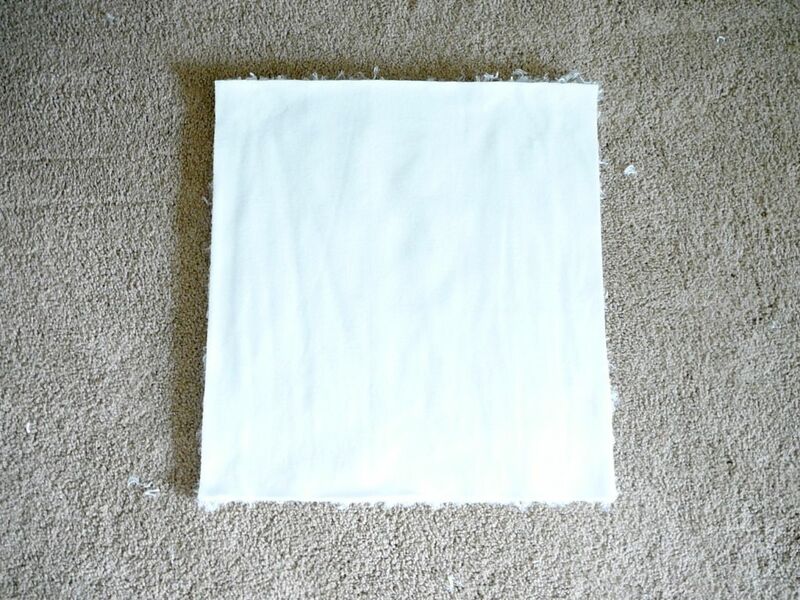 Take your furry fabric and cut two pieces a few inches larger than your rectangles from step one. Make sure to match up the stretchy grain on each piece and get your glue gun warmed up. This hem line is along one of the B sides. Glue as close to the edge as you can. 4. 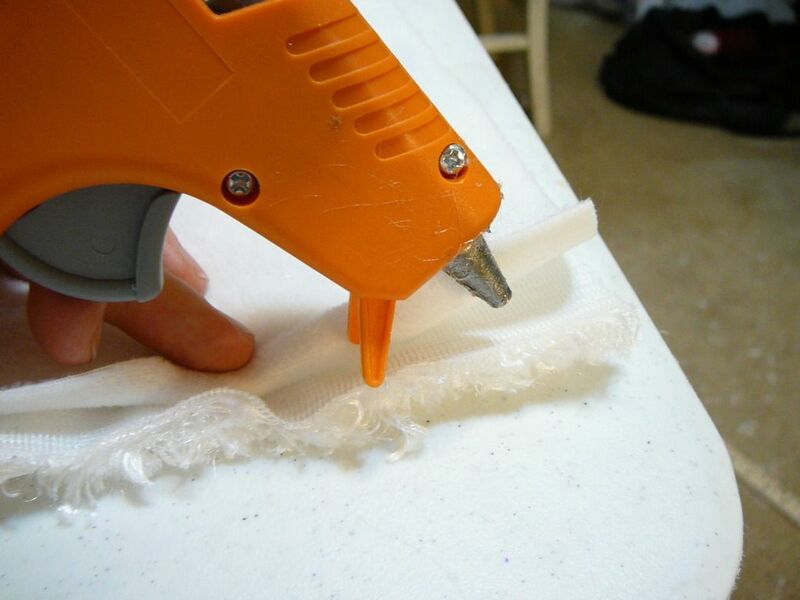 Trim off the excess furry fabric around the fleece rectangle. 5. Fold rectangle in half along the B side and stitch down the entire side. This will result in a tube. 6. Take your trim fleece and cut a rectangle measuring 4 inches by your B measurement, lining the stretchy grain parallel to B. 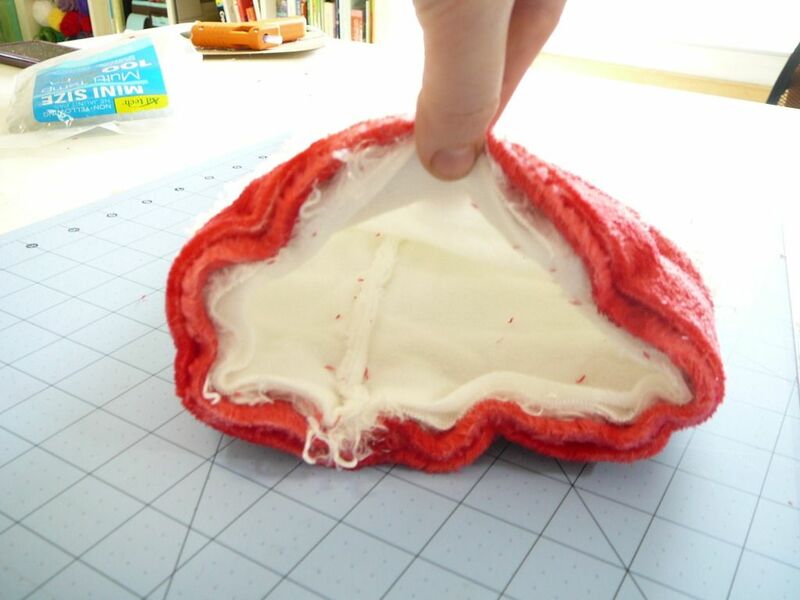 Fold it in half along B, right sides together and stitch the ends together. This will make a loop. 7. Fold your red loop over so the two edges meet with the right side facing out. 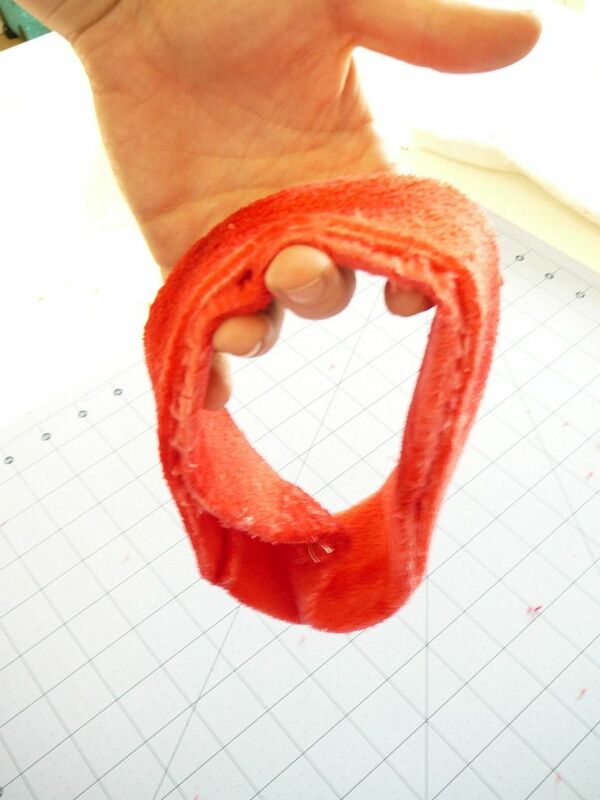 Slide this over the top of your furry tube, that has been turned right side out, with all the raw edges lining up. 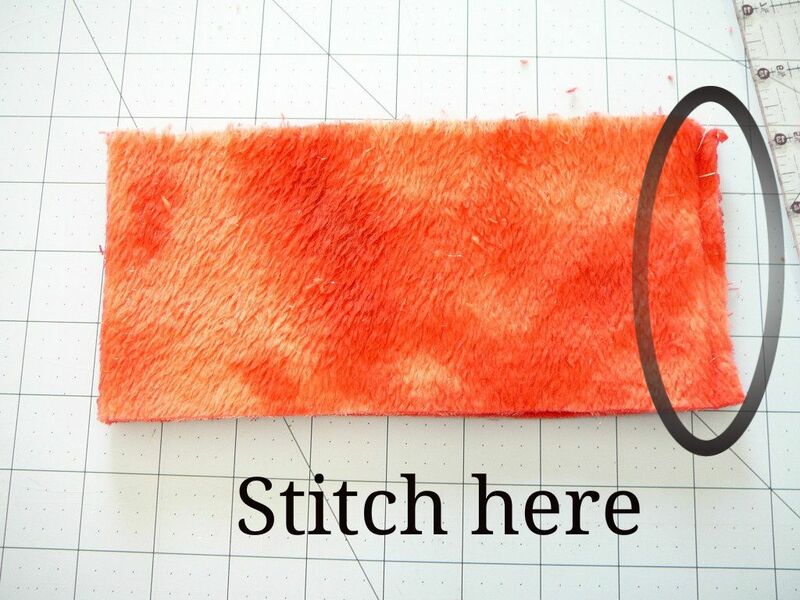 Stitch around this edge almost all the way, leaving a space to insert your elastic. Here's your loop folded over. I like to align my seams so they are continuous from the top to bottom. Stitch along the raw seam at the bottom of this pic. 8. Take a piece of elastic and wrap it around the base of your knee. Make sure this is pretty tight so your leg warmers wont fall down. 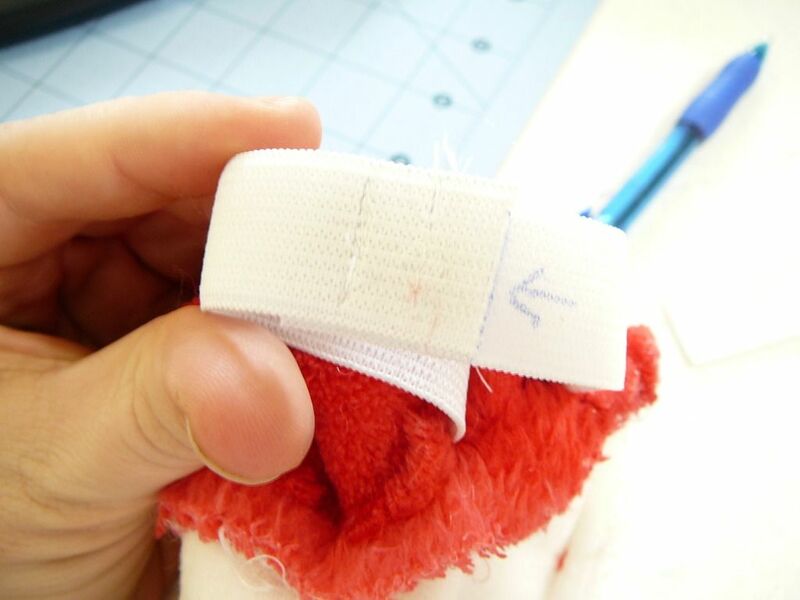 Mark the elastic and thread it through the opening using a safety pin into the red band. 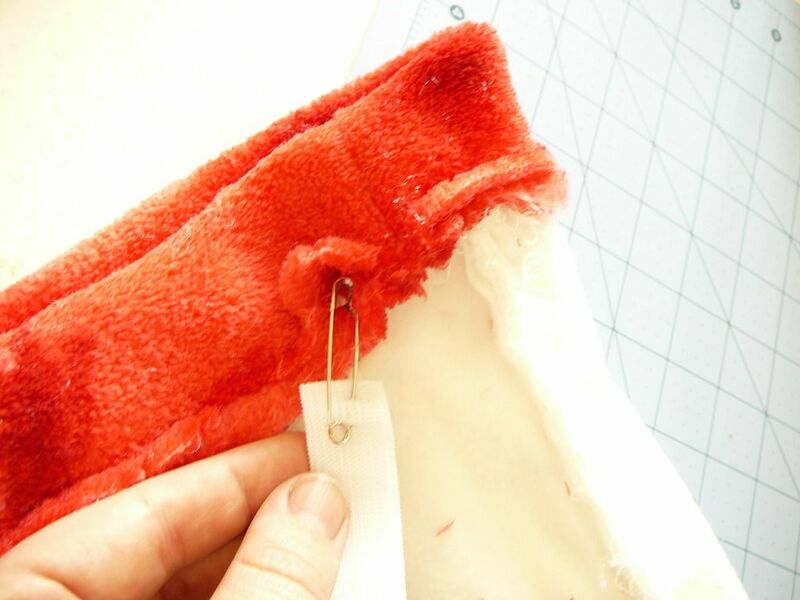 Sew the elastic together a few times where you marked it and close the opening of your fleece band by completing the space you left open earlier. 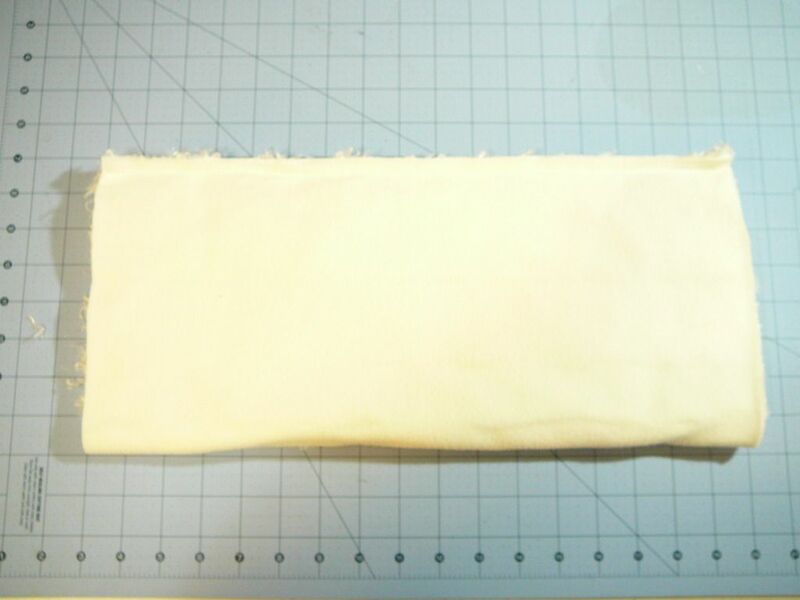 I trimmed off the excess elastic after sewing it together. You can also kinda see I sewed it in three places for backup support. 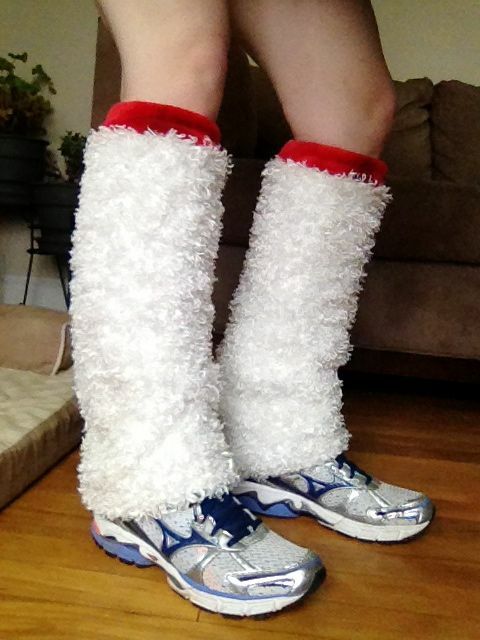 Now put them on with your ugly sweater and you're all set for Christmas. 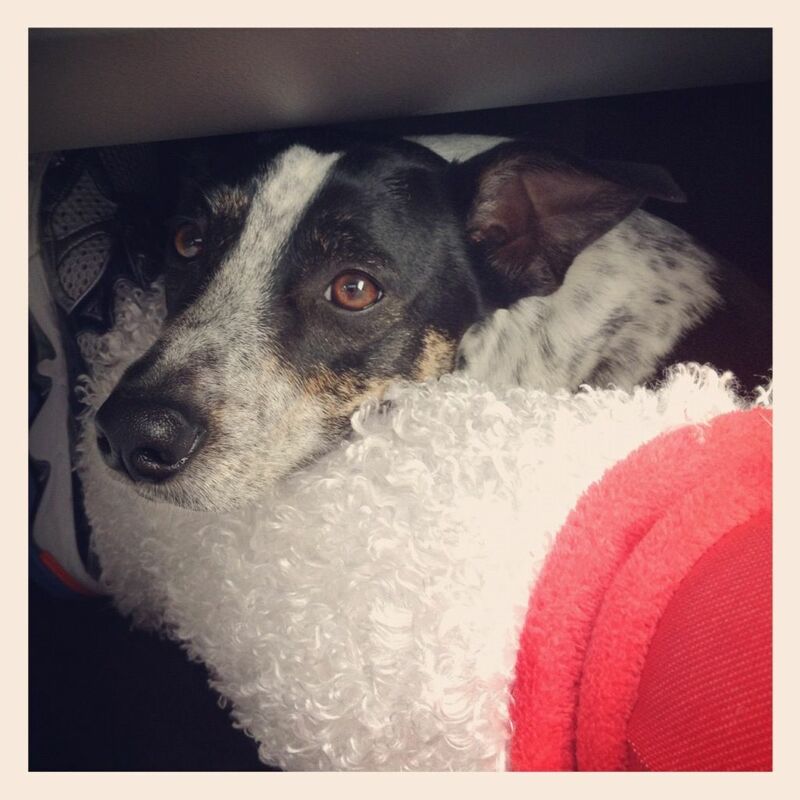 On a side note this leg warmer also doubles as a great neck warmer for your little pooch. Look how much Gidget loves it. Yes her tail is wagging therefore this isn't consider cruelty to animals. They also are great head rests for sleepy puppies.